Why get a CFA? There is a tremendous amount of time and effort you must put into the CFA program. But what are the CFA benefits? Let’s take a look at the numerous CFA advantages and the important impact the program could have on your career. Most people agree that the CFA designation is the most widely known and respected qualification for finance and investment professionals. But why is the CFA important to you? Moreover, what are the benefits of CFA? First, if your goal is to invest professionally, then you are already aware of the reputation of the CFA Institute (CFAI) and its charterholders. No other professional designation carries the same weight for asset managers and other financial industry participants. A CFA designation provides the most value for research analysts and asset managers. These professionals are involved in portfolio management, pension funds, hedge funds, and fund of funds. Finally, they may also work in private banking and financial advisory. For these professionals, the CFA title is almost a must. Pursuing a career in these roles without a charter is similar to trying to practice accounting without a CPA. Similarly, professionals who work with people in financial roles are also interested in the CFA charter. Professionals outside of the typical finance roles are attracted to the CFA because it allows them to broaden their knowledge. Even more importantly, this designation helps them stand out from their peers. These professionals include accountants, auditors, lawyers and senior management in operations. Financial firms are seeing the value of having CFA charterholders in other areas outside their trading desks. If you’ve made a decision to aim for a long-term and successful finance career, taking the CFA exam and studying the curriculum is an excellent way to ensure you have a strong knowledge base and top-notch technical skills. The CFA program is designed to cover everything. And I mean everything that is directly or indirectly related in the finance and investment field. When sitting for the CFA Level 1 exam, candidates must get themselves fully immersed in a huge range of topics. The high-level topics include financial accounting, ethics, statistics, corporate finance, fixed income and alternative investments. Above all, the Level 1 curriculum is designed to be broad enough to cover all relevant areas needed for the finance industry. I believe this is precisely the examiners’ goal to force accountants to learn about finance, and finance professionals to study accounting. Once you reach the CFA Level 2 exam, the curriculum gets into more detail and is more specialized in finance topics. In contrast, Level 3 becomes very specialized in the areas of portfolio and wealth management. Level 3 also introduces essay questions that require you to combine many topic areas and apply them to real world scenarios. Once you pass all 3 levels, the knowledge gives you the confidence to work towards expertise in your desired field. There are now 154K CFA charterholders around the world in 165 countries, and the number is growing faster every year. Not only can CFAs be found in all major cities around the world, but CFA societies are now present in more than 70 countries. The number of CFAs is impressive, and it also gives you an unparalleled network that you can leverage for your career. There are job postings from CFA societies with companies specifically looking for charterholders. Although, the success of landing this type of job is much higher if you are actively networking within the society. Also, unlike the accounting qualifications that are more geo-specific (e.g., ACCA in UK and CPA broadly in the US), the CFA charter is truly global. When your work takes you from Mumbai to New York or from London to Singapore, the value of your CFA designation remains the same. Because the CFA charter is globally recognized, some countries have waived part or all of the requirements as licensed professionals, mostly in the field of investment and trading. While no finance or accounting qualification can guarantee that you’ll land a job, getting the CFA designation is a big help. With this designation, you’ll have a very nice inroad to securing a job with some of the biggest players in the finance field. The top employers of CFA charterholders are global investment banks, mostly in their asset management and research divisions, as well as the Big 4 accounting firms. Many companies will only hire CFA charterholders in their investment divisions; in these companies, their marketing materials reveal the 100% CFA hire rates. This sounds pretty impressive, right? If you aspire to work in these companies, the CFA designation will give you a distinct advantage in your interviews. Part of the reason that CFA charterholders enjoy higher salaries is that many are hired by global financial institutions. And it’s no secret that these institutions tend to pay at a premium. If you are looking for hard statistics, the CFA Institute ceased running annual surveys on CFA salaries given the numerous factors that may affect the salary level across members. Here are the more pressing reasons why studying for CFA exam is a good idea. If you are working in the investment industry, not having the CFA designation puts you at a distinct disadvantage. There were 85K CFA charterholders in 2003. However, there are now 154K charterholders and 227,000+ candidates working hard towards the designation. At the same time, CFA passing rates are stagnant at a low level. If your current or future position requires this title, it’s better to start preparing for the CFA exam now. Your “book smarts” start to depreciate the day after graduation. The longer you procrastinate studying for the CFA exam, the harder it is for your brain to jump back to study mode. And physically, your body can’t stand as many late nights as it did when you were younger. Also, when you have a wife/husband, a kid, another on the way, a house with a mortgage, and a yard to mow every week, it’s going to be even tougher. If you plan to take the CFA exam sometime in your career, you should take it as soon as you can. Many professionals pick the CFA because they don’t want to incur the time and cost to go through an MBA program. This is understandable as the CFA investment will cost you anywhere from US $3,000 to $9,000. While expensive, it is still much more affordable than a typical MBA program. Additionally, MBA programs will also require you to take (and pay for) many classes outside of the finance topics that will be applicable to your career. Adding to the fact that you can continue working and earning while taking the CFA exam, the difference in terms of cost is even bigger. While part-time MBA programs do exist, they take much longer to complete and subject you to the risk of continued tuition rate increases. MBAs are great for networking and breaking into certain industries. However, for certain career paths, the CFA is more useful than an MBA, especially if you cannot get into first-tier MBA programs. 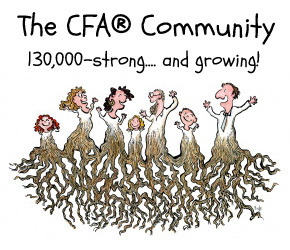 Why CFA is Important to YOU? Whether it’s the pull or push factors that lead you to think about this designation, it’s worth doing more research to make up your mind once and for all. Greetings of the day. Well i am working for an IT company for past 5 years now. I am looking to change my field from technology to finance domain, so that i can fetch some job related to Business Analyat or consultant or any finance related job. Is CFA a valid option for me. Can u also suggest some other certification which i should go for. Hi Rahul, if it is finance, it’s worth a try taking a closer look. You might want to borrow a book in introductory finance and see if the materials are at least somewhat interesting to you. You don’t need to understand them at this stage, of course, but if you don’t click with what’s discussed there, probably not a good idea to jump into finance / CFA exam. Another thing you might want to check out is the opportunity for someone with dual IT/finance background. I am sure there is quite a bit, but if it is possible for you to arrange an internal transfer, it would be the best way to make the transition. Good luck and let us know how it goes! I am just landed into banking job in india . Hi Naru, congrats of landing a banking job! 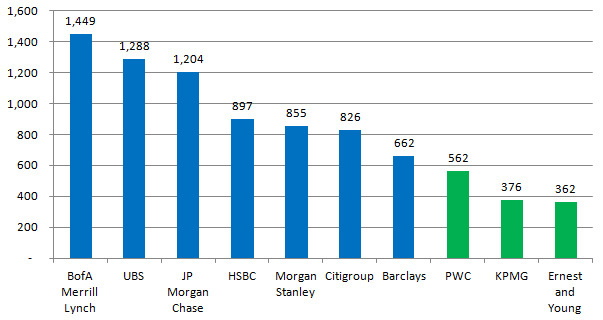 May I ask which division you are in within banking? I been part of Asset Management Company for last 10 years, however I have always handles the back office operations, Fund Accounting and Fund Operations (Hedge Funds and Mutual Funds). I am confused whether I should take CFA or CPA to add just not the knowledge but also an edge in my career. Since I am middle management level . What would you suggest? Appreciate your thoughts and advise. I’m into equity relationship service. Just wanted to Check if this experience would be treated as a prerequisite for being a cfa charterholder(in lieu of the 4 years experience). I am a B.Tech and i have pursued my PGDM in Finance.I am currently working as a Equity Research Advisor-HNI for a reputed stock broking firm in India. What career prospects would i have after becoming a CFA. But portfolio management and equity research (sell-side) are the most popular. Hi I want to know am I eligible for cfa because I have completed my graduation from distance.so please suggest me.